The Cumberland County Civic Center, as it is more well known, was built in 1977. Home to the Portland Pirates ice hockey team, it cost $5 million to build. The Cumberland County Civic Center is much more than a ice hockey arena. Concerts, graduations, conventions, trade shows and more have have been filling the civic center since the beginning. This multi-purpose Portland arena has 6,500 permanent seats and can hold up to 9,000 people for concerts. Buy tickets for events at the Cumberland County Civic Center online. Click the link below for tickets and information. 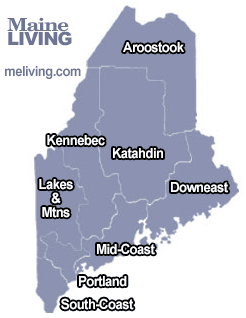 To promote your business in MELiving.com – Maine’s Internet Magazine, please contact us.